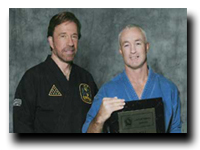 BJJ America as an organized, step by step grappling program that changed our school, improved our retention and enhanced our Black Belt program. On our very first class of BJJ we enrolled 15 new students, and these 15 new students alone will bring in over 13,000 this year. After 35 years of martial arts I feel like a beginner again- motivated and inspired to train hard. Thank you David Meyer and John Will! The BJJ AMerica grappling curriculum has added 40 new students and $50K a year to my school by providing a cutting edge grappling program. Just as important John and David provide amazing technical support and educational support to their products. If you are thinking about an MMA program, this has to be your grappling component. There is nothing like this out there anywhere.